As the action heats up in the race for the Lincolnshire League title, Skegness Town will be in action at Brigg Town Reserves on Saturday. Following the weekend’s 3-0 win at home to Cleethorpes Town’s Development squad, the Lilywhites currently sit second in the standings, two points behind leaders Sleaford Town Reserves. The Lilywhites also have two games in hand. 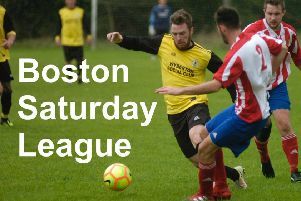 Meanwhile, Skegness United will be on the lookout for more league points this Saturday. They host Horncastle Town in the second of two back-to-back fixtures. This weekend they drew 1-1 at the Wong. Both matches will kick off at 3pm.